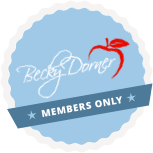 Full Day Workshop - Becky Dorner & Associates, Inc.
New Dining Practice Standards have the clinical support and regulatory backing to revolutionize food service in nursing homes. These standards reflect evidence based research; current thinking; and the consensus of several national professional organizations that include physicians, dietitians, dietary mangers, nurses, therapists, and pharmacists. This full day program presents how facilities are successfully implementing these standards. Practical dining options and trends to promote greater individualization, accessibility and choice in dining services are provided. Resources for success will be provided. Overview of new Standards of Practice for: Diet Liberalization, Calorie Controlled Diet, Low Sodium Diet, Cardiac Diet, Altered Consistency Diet, Tube Feeding, Real Food First, Honoring Choices, and Self Directed Living. Common barriers to implementation and how to overcome them. How small changes in dining can have a big impact on quality of life and quality of care. Suggestions and considerations on how to begin putting the standards into practice. Numerous examples of successful implementation of Dining Practice Standards in a variety of homes. Role of senior management in this paradigm shift. Innovative dining enhancements for all budgets that provide choice, accessibility and individualization. Various types of meal plans, open dining, buffet, restaurant or family style meals and dozens of other ways to bring accessibility and choice to residents.